William Creek is easily accessible from Coober Pedy - approximately 2 hours east on the William Creek Road. Coober Pedy is famous for underground living as well as being the Opal Capital of the World and is the last point of sealed roads before heading to William Creek (see road conditions below). Distance is approximately 170 kilometres and takes approximately 2 to 2.5 hours (depending on road conditions). Don’t want to drive the unsealed roads to William Creek? Wrightsair also offers scenic flights from Coober Pedy over Kati Thanda-Lake Eyre, the Anna Creek Painted Hills and Dalhousie Springs… most which include the opportunity to stop in the iconic town of William Creek! Take a look at the flights available with Wrightsair. William Creek is located on the world's largest working cattle station, Anna Creek Station, which is owned by Williams Cattle Company. It covers an area of over 23,000 sq. km. which is slightly large than Israel. The Homestead of Anna Creek is located near William Creek and is serviced by the Mail Run from Coober Pedy twice a week. It is also home to the Anna Creek Painted Hills which are located on this private property and is only accessible by air. There is no public access to the station. Renowned for its unusual natural features known as mound springs, Wabma Kadarbu Conservation Park is located on the Oodnadatta Track between William Creek and Marree. Water seeping up through the surface from Great Artisan Basin creates permanent springs and it is worth a stop if you are travelling through. 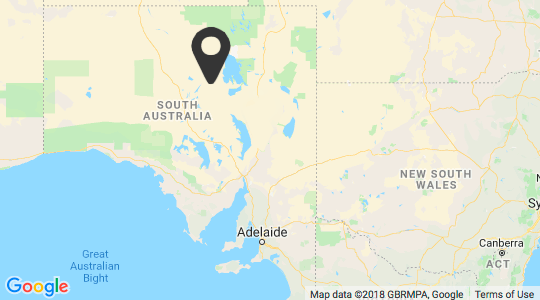 Lake Cadibarrawirracanna is located on the road between William Creek and Coober Pedy. This salt lake is said to have the second longest official place name in Australia.